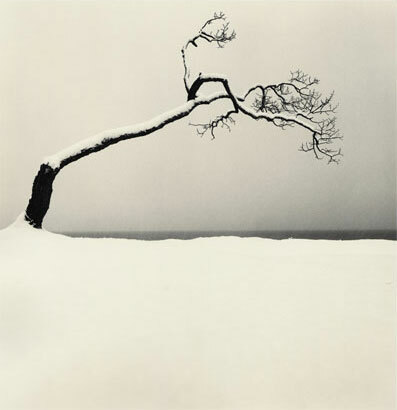 Michael Kenna's beautiful black-and-white images have been described as haunting, minimalist and ethereal. And by his admission, he chooses to examine one or two elements in a scene, "instead of describing everything that's going on." His unique approach to the environment results in simple but powerful photos of architecture, landscapes and the sea. Born in 1953, in Widnes, Lancashire, England, Kenna was educated in various schools in England, and graduated with distinction. 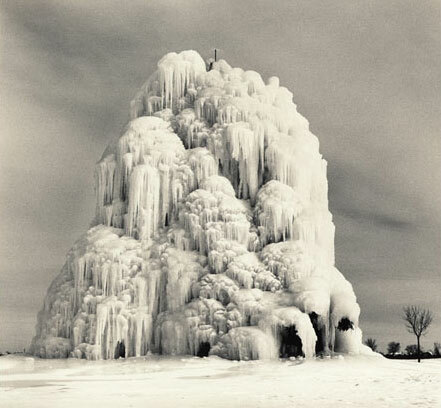 In London, he began pursuing advertising photography in addition to photographing the landscape that he loved. 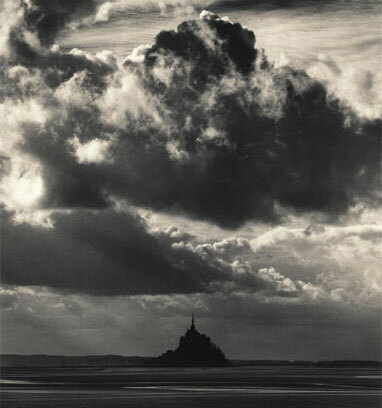 In 1977, he moved to San Francisco, where he became an assistant and printmaker for photographer Ruth Bernard. 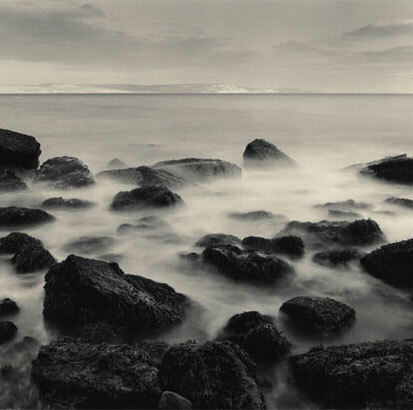 Today, Kenna is represented by over 20 galleries worldwide, and resides in the Pacific Northwest. He is also a very successful commercial photographer, with an extensive client list that includes Adidas, Audi, British Airways, Infiniti, Land Rover, Maserati, Mercedes, Rolls Royce, and Shiseido. We caught up with Kenna in the midst of his very busy schedule, and discussed his philosophy, his favorite subject matter, and how he creates his special type of imagery. Double Exposure: When did you initially become interested in photography? 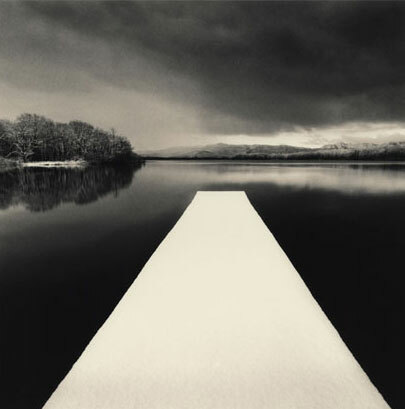 Michael Kenna: When I was eleven or twelve, I dabbled a bit and made snaps of my friends, family, etc., and even learned how to process my own film and make basic prints in the darkroom. In 1972, while I was doing a foundation art course at the Banbury School of Art in Oxfordshire, England, I was introduced to the notion that photography could be a means of self-expression or visual exploration. I didn't look back from there. I think curiosity was a big motivator from the very beginning. the camera just made it easier to realize almost instant results. DE: Who were your artistic influences? DE: How do you create images that are so simple, yet powerful? MK: I've always liked to photograph in "conditions"; mist, rain, snow, etc., where distracting backgrounds are eliminated or subdued. Sunshine and blue sky have never appealed to me. Too much light tends to reveal all the details of a scene and I am not interested in a perfect photocopy. I prefer suggestion over description. I like to use the analogy of haiku poetry where just a few elements act as catalysts for one's imagination. Often I make long time exposures so that detailed water becomes floating mist, clouds in the sky become blurred masses of tonality and a populated scene becomes empty. The world is pretty chaotic, seemingly always speeding up and getting louder and more visually dense. I am interested in finding and/or creating calm shelters from the storm, places where quiet solitude is encouraged and inner contemplation is possible. I think we could all use a break from time to time! DE: Do you have a preference as to what time of day you like to shoot? MK: Whenever possible, I like to be up and out early in the morning. There is something very special about the start of a new day, the world just waking up and beginning again, perhaps a beautiful sunrise, rising mist, fresh snow or a covering of frost. There seems to be many surprises in the early hours. In reality, of course, I photography at all times of the day and night. DE: What are your favorite subjects? MK: I am interested in the relationship and juxtaposition between the landscape and the structures that we humans leave behind. I look for traces of the past, atmospheres and stories that are left for us to decipher and decode. I am attracted to places where events have happened, or will happen again. The wild and magnificent mountain ranges do not seem to come out very well when I photograph them. I prefer intimacy, a suggestion rather than accurate description. I like to lead a viewer into a photograph and let them linger, and perhaps wander through their own imagination. DE: Do you ever photograph people, or include them in your scenes? MK: I am not a good portrait photographer and rarely include figures in my photographs. I often use the analogy of the theater. Before the play starts, when the stage is still empty of actors, and there are just the props or a curtain, a potent atmosphere of anticipation seems to pervade the waiting onlookers. I like to think it is their active imagination at work. When the characters come on stage, the audience is immediately enticed into the story that begins to unfold. It is the story related by the actors. I am interested more in the story of the individual members of the audience. I like to photograph places where people have been. I like to photograph their structures, their traces, their stories, but themselves. DE: How do you choose your locations? MK: I simply go to places that interest me. One place often leads to another. I believe that I am quite consistent in what interests me, but at the same time, the locations vary immensely from seasides to industrial sites, from formal gardens to frozen landscapes, from kindergarten classrooms to concentration camps, and so on. I fortunately like to travel, so I have photographed in many countries around the world. It has been a great experience which I hope will continue for many more years. DE: What camera equipment do you use? Any digital imaging? MK: I use pretty ancient Hasselblads. I have four or five bodies because I photograph in pretty rough conditions and one or two are usually being repaired. I have five lenses and a number of backs for different speed films. I only take what I can comfortably carry in a backpack. I use a graphite light-weight tripod, and hand-held meter. I think that's about it. I haven't spent much time doing anything digitally yet. I'm really quite content with the processes and equipment that I currently use. Perhaps if the manufacturers eventually stop producing the materials I need, I will be forced into digital. I've had a few old scratched negatives retouched with Photoshop, and in the commercial photography world my images are often extensively retouched, but I don't have too much interest in it for my personal work. DE: Who are your commercial clients? MK: Do you want the whole list? Adidas, Audi, Bank of America, Beringer Wine, BMW, British Rail, British Airways, DHL, Hakuryu, HSBC Bank, Infiniti, Isuzu, Jeep Chrysler, Jo Zen, Landrover, Marubeni, Mazda, Maserati, Mercedes, Moet and Chandon, Nissan, Powergen, P.S.I., Range Rover, Royal Air Force, Rolls Royce, Saab, Shiseido, Simpson Paper Company, Spanish Tourist Board, Sprint, Toshiba, Triumph, and Volvo. DE: Any upcoming travel plans? MK: Actually I do, a little, but the issue I think is about spontaneity. I like to work with as few time limits as possible, nobody watching or asking questions, no phones, etc. When I go to any location, I do not know if I will be there for five minutes or five days. Inspiration depends on light, atmosphere, subject matter and how the photographer responds. Being creative often means following a lead, working on half-chances, half thoughts, coming up to dead-ends and re-tracking. Being creative for me often means photographing things in ways that might seem completely ordinary at the time, but which may turn out to be extraordinary later. The inverse happens more frequently. Creativity means being open, listening to what comes from within and without, which is very hard to do when you are looking at your watch. It is important to be focused and concentrated, which for me usually means being solitary, away from distractions. In long-distance running, one talks about going into the "zone," a point of total concentration and relaxation, both at the same time. I think one can find this in photography and it can be an extremely satisfying and productive state of mind. Besides all of the above, I do love to travel, always have and hopefully always will. There is so much to be seen and experienced in this world, and we are granted so little time. It is a joy and privilege to travel and very much a part of my journey through this life. 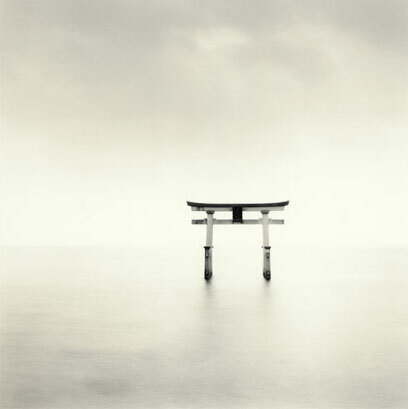 To see more of Michael Kenna's work, visit his website.